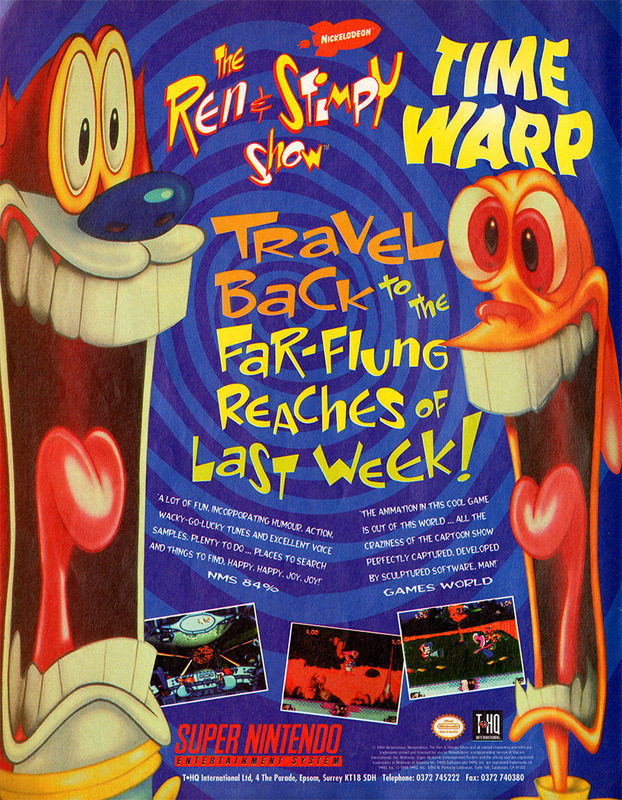 The Ren & Stimpy Show: Time Warp was released for the Super Nintendo in 1994. 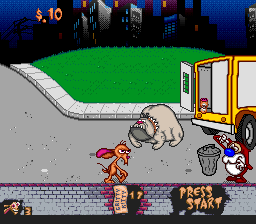 It is based on the Ren & Stimpy cartoon that was shown on Nickelodeon from 1991 through 1995. If you’ve never seen it…it’s hard to explain. You would probably either love it or hate it but in any case it was controversial for its time for much of its humor which in many cases really wasn’t appropriate for kids. 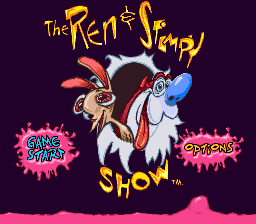 The game features the two title characters in a quest to stop Muddy Mudskipper from destroying space and time with his time traveling antics. This game is basically a generic side-scrolling platformer with some side-scrolling shooter mixed in. Like most licensed properties, this one really isn’t great. The graphics and sound aren’t bad but the control leaves something to be desired. If you are a huge fan of the show then it is at least worth checking out but don’t expect too much. 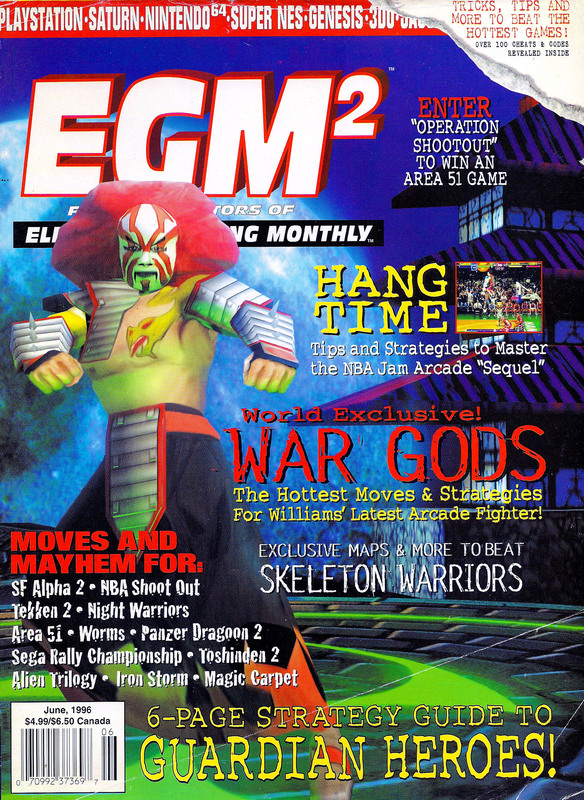 As a licensed property, this game has never been nor is it likely to be re-released. 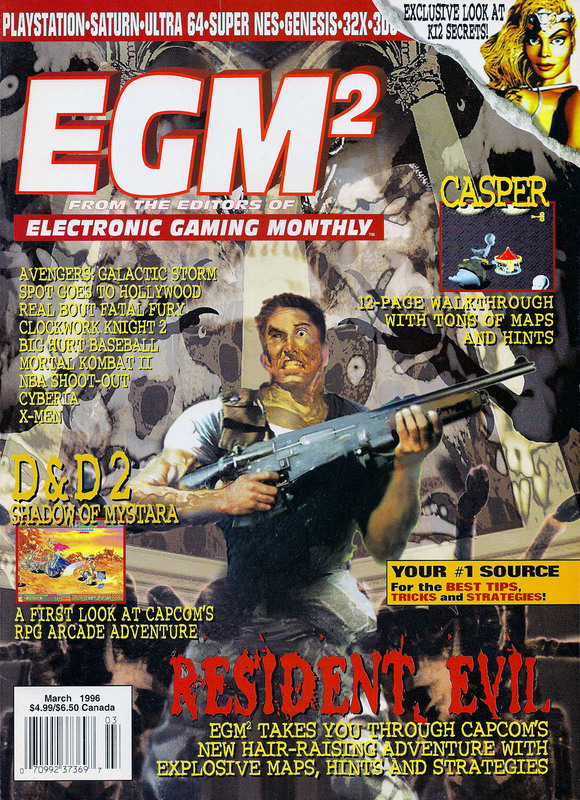 It was exclusive to the Super Nintendo so you’ll have to track down an original cartridge or try it out in emulated form. The price for this game on eBay is high enough to make it not really worth it in my opinion.